As busy moms, we rarely have time to celebrate ourselves or catch our breath in between all of the to-dos for each day. Days stretch into weeks, weeks into months, and before you know it, you’re celebrating another birthday. These small, simple, meditative practices are designed for you to catch your breath during the trying times and practice mindfulness. 1. Drink a hot beverage. Listen to the whistling teapot on the stove as the early morning sun softly meddles into your windows. Enjoy the visual as the off-white creamer dips beneath the black coffee. Savor the taste as it splashes against your tongue and take a deep breath in as you begin your new day. These few moments are meant for you to cherish and regain your strength to commence a new day. 2. Read a quick article or start a novel. Take a moment to acquaint yourself with world events with a quick news article or wipe the dust from a book that’s been occupying your shelf for months. 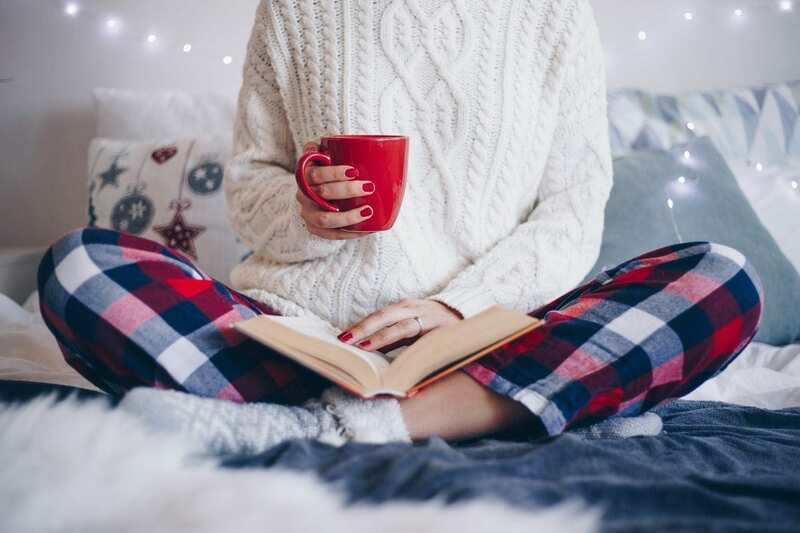 If that seems unmanageable with your time constraints, take the opportunity to recollect all of the children’s books you loved as a child and integrate them into your nightly bedtime routine. There is nothing more joyous than getting lost in the world of text. Sometimes we get stuck in a constant loop of mundane daily activities that have us feeling unaccomplished and lacking motivation. Take the time to jot down your daily tasks of even the most tedious of responsibilities and bask in your achievements as you scratch them off one-by-one. Before bed, look them over and reenergize at all you’ve done for the day. 4. Go On a Walk. There is something spiritual about stepping outside into nature, whether it be the brisk winter wind whipping against your face or basking in the golden warmth of the summer sun. Listen to music that echoes your feelings in that moment or walk hand-in-hand with your loved one(s) and enjoy all the living things you stumble upon from wildflowers to soaring birds. Acquaint yourself with sounds of the wildlife and deeply breathe in the world around you. Take in the fragrance of spices and the beauty of the color combinations. Peel your carrots and slice your juicy tomatoes with appreciation for a soon-to-be full belly and the winding down of a long day. You did it again. Try a new recipe, make a rub from scratch, find a way to mask the taste of vegetables in the goodness of a meal and have your child ask for seconds. These accomplishments and small moments of gratification are monumental in the grand scheme of things. 7. Hot shower or long bath. Sometimes the hot steam on bathroom mirrors is the only thing that feels mentally cleansing after an exhausting day. Dip beneath the warm water and close your eyes taking in that the day is completed and you have overcome the negativity you have been faced with. Enjoy a few soft flickering candles or a refreshingly scented bubble bath – you deserve it.